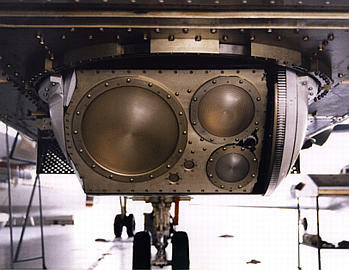 The Polarimetric Scanning Radiometer (PSR) is a versatile airborne microwave imaging radiometer developed by the Georgia Institute of Technology and the NOAA Environmental Technology Laboratory (now NOAA/ESRL PSD) for the purpose of obtaining polarimetric microwave emission imagery of the Earth's oceans, land, ice, clouds, and precipitation. The PSR is the first airborne scanned polarimetric imaging radiometer suitable for post-launch satellite calibration and validation of a variety of future spaceborne passive microwave sensors. The capabilities of the PSR for airborne simulation are continuously being expanded through the development of new mission-specific scanheads to provide airborne post-launch simulation of a variety of existing and future U.S. sensors, including CMIS, ATMS, AMSU, SSMIS, WindSat, TMI, RAMEX, and GEM. 5. To provide imaging resolutions appropriate for high resolution studies of precipitating and non-precipitating clouds, mesoscale ocean surface features, and satellite calibration/validation at Nyquist spatial sampling. The original system has been extended - as discussed below - to greatly exceed the original design objectives by providing additional radiometric channels and expanded platform capabilities. The PSR scanhead was designed for in-flight operation without the need for a radome (i.e., in direct contact with the aircraft slipstream), thus allowing precise calibration and imaging with no superimposed radome emission signatures. Moreover, the conical scan mode allows the entire modified Stokes' vector to be observed without polarization mixing.